/Annotating PDFs /Content Editing /How can I cancel out of an active tool? Q: When I have a tool active such as an annotation, content editing or redaction, how can I cancel out of it to go back to the hand tool? Is there a shortcut key for this? 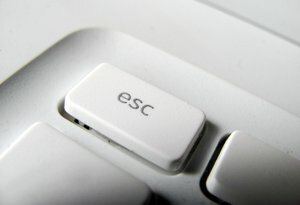 Click on Escape key (“Esc”) on your keyboard. Click with the mouse on the Hand tool.